Ha! Great end to this. Really unusual idea executed perfectly! As a home brewer, I readily raise a glass and share the cheer! What a wonderful taste of your creativity! Love Emily, love your writing! Excelant post, thanks for the laugh! I’m far too logical and down to earth. When I saw this title I thought, Oh please. 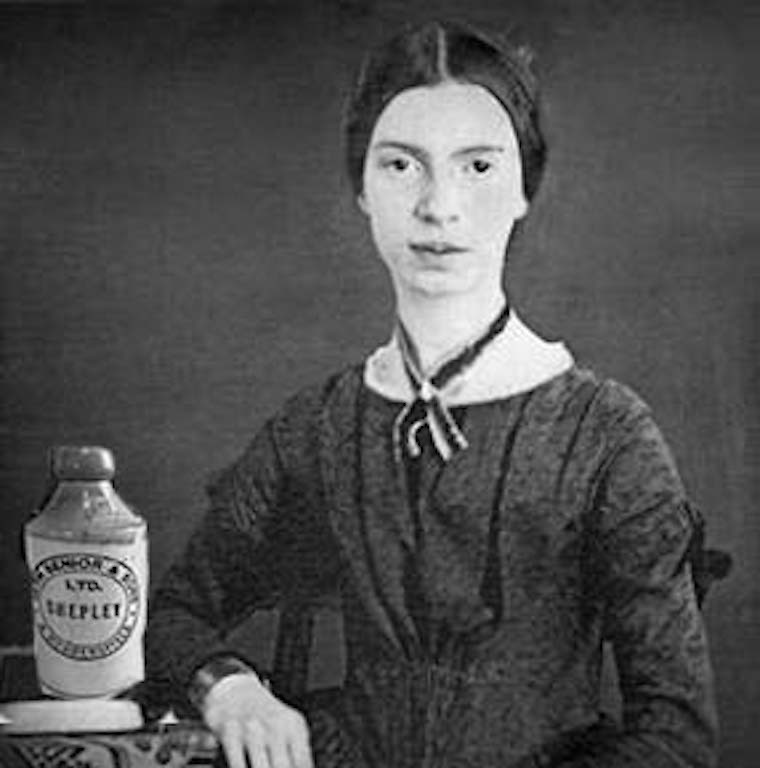 Emily Dickinson did not have a refrigerator. Fortunately, I am so not alone in that knowledge. Oh Elan. I love your work. The pics and the writing – everything ! Even the punctuation! 😀 Keep writing. Wonderful. I wish my fridge was as rewarding. However Ms. Dickinson is portrayed I am so amused by the piece. Yes I still am a real fan of Ms. Dickinson always. Oh thank you for showing this fantabulous poem, you kept me there right up the the perfect ending! So much skill, and with such wit and gentle humour too! Your writing is so beautifully stunning and visually bold that one is along side you for the journey.